Gerry has been in the financial services industry since 1977. For over 30 years, integrity and professionalism have built Gerry a reputation that has brought him recognition from his peers. Gerry's broad knowledge and expertise are exemplified by the designations he holds. Gerry is a CERTIFIED FINANCIAL PLANNERTM practitioner and holds the following registrations: FINRA Series 7 (General Securities Representative Exam) and 63 (NASAA Uniform Securities Agent State Law Exam) securities registrations through Commonwealth Financial Network® along with various state insurance producer licenses. He is an Investment Adviser Representative with Commonwealth, member FINRA/SIPC, and is registered in Massachusetts and Florida. Gerry earned a bachelor's degree from Bridgewater State College, performed graduate work at the University of Montana, obtained his Chartered Life Underwriter® (CLU®) and Chartered Financial Consultant® (ChFC®) designations from the American College in Bryn Mawr, Pennsylvania. Gerry is a member of the Financial Planning Association and the Estate Planning Council of Cape Cod (past president), and he is an active member of the Kiwanis Club of Sandwich. Over the years, thousands of people throughout New England have attended Gerry's seminars on various financial planning topics. In addition to being a well-known speaker on Cape Cod, he has also lectured to many different clubs and organizations. Furthermore, he has taught several courses on topics relating to his areas of specialization. Gerry was a high school teacher prior to joining the financial services industry. He feels his experience as a schoolteacher has contributed to his success on educating others in the often confusing world of retirement, estate, investment, and tax planning. Being a tenth-generation Cape Codder, Gerry lives in East Sandwich and has two wonderful daughters and two terrific grandsons. 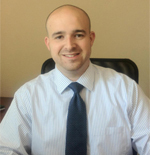 Bill is an original team member of Axial Financial Group and started his career in finance as an intern at Smith Barney while acting as the assistant manager for his family's music store, Scotti Piano and Music. Bill is a graduate of the Merrimack College Giraud School of Business and has received Merrimack College's Certificate of Advanced Study in Financial Planning. Bill is a CERTIFIED FINANCIAL PLANNER™ professional and holds the FINRA Series 7 (General Securities Registered Representative) and 66 (Uniform Combined State Law) securities registrations as a registered representative and investment adviser representative of Commonwealth Financial Network®, as well as state life, accident, and health insurance licenses. A believer in a comprehensive wealth management process, Bill enjoys helping clients properly implement sound retirement and goal-oriented saving strategies, retirement income funding solutions, and generational wealth planning. Bill is an active member of Cape Cod Young Professionals, the Financial Planning Association, and the Estate Planning Council of Cape Cod, Hyannis, Chamber of Commerce, as well as the treasurer of CA$H International. Bill resides in Sagamore Beach with his wife, Brittany, and enjoys playing the guitar, golfing, and fishing. Tracey joined Swift Financial Services, Inc., in April 2005. She has 20 years of experience working in the financial services industry. She began her career with State Street Bank & Trust Company in 1987 and began working alongside investment advisors in 1994. She received her BSBA from Suffolk University and AS from Fisher College. In 1996, she completed the Foundations in Financial Planning Program through the College for Financial Planning® and holds the Registered Para-PlannerSM (RP®) professional designation. Tracey also worked alongside a certified public accountant (CPA), where she completed H&R Block's income-tax preparation certification. Tracey holds the FINRA Series 7 (General Securities Registered Representative) and 66 (Uniformed Combined State Law) registrations as a registered representative and investment adviser representative of Commonwealth Financial Network®. Tracey's primary responsibilities at Swift Financial include providing technical support and assisting with portfolio reviews and account maintenance. This includes assisting with asset allocation decisions and portfolio construction and rebalancing strategies based on clients' risk tolerances and objectives. Other responsibilities include, but are not limited to, working with clients on administrative matters as well as organizing data, identifying problem areas, and assisting with calculating projections. Tracey also helps research all mutual fund, variable annuity, and stock-related securities and acts as liaison between Swift Financial and mutual fund/variable annuity wholesalers, as well as Commonwealth Financial Network's Wealth Management and Research teams. Tracey resides in South Dennis with her husband, Christopher, and her dog, Winston. Briana is the friendly voice you first hear when calling Axial-Swift as well as the welcoming and energetic personality you see when you walk through our doors. As client service assistant, Briana properly guides our clients and visitors to ensure that their questions and needs are handled quickly and efficiently. Briana comes to Axial Financial after successfully managing a well renowned building company in Yarmouth, Massachusetts. 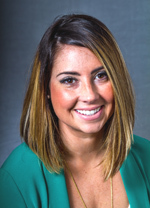 Briana has lived in the Cape Cod region for over 10 years, first moving from Bangor, Maine, to Nantucket Island and then eventually to Centerville. She enjoys the beach and boating, live music, traveling, and spending time with her husband, family, and her two dogs.